December 21st & 22nd 2014 "Holiday Classic" at PGA National Resort & Spa – played on the "Fazio Course" in Palm Beach Gardens, FL. Jessy won 3rd place winning a trophy. Jessy shot 38 on day one and 31 on day two (par being 36 each day) for a total of 3 under par in the Boys 6 & Under Division. Not too bad for Jessy being under the weather on day one. December 18th & 19th 2014. The 33rd Annual Doral-Publix Junior Golf Classic is the premiere tournament with over 690 junior golfers from around the world representing over 45 countries that play in Miami, Florida on the new Trump National Doral Miami "Red Tiger Course". 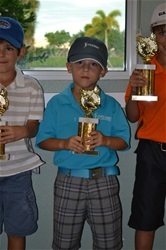 Jessy won 1st place in the "The Doral-Publix Junior Golf Classic" boys 7 & under division. On day one he shot 32 and day two he shot 31 (par being 35 each day) for a total of 7 under par. Jessy shot 8 birdies over the 2 days. This placed Jessy one stroke ahead of second place at the end of this tournament. This was Jessy's 1st international tournament to win. The Trump National Doral Miami was the toughest course Jessy has played to date. December 6th 2014 "The Junior Honda Classic" at PGA National Resort & Spa – Played on the "Fazio Course" in Palm Beach Gardens, FL. 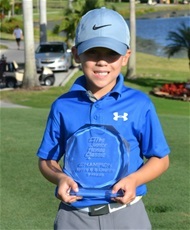 Jessy won 1st place in the "The Junior Honda Classic" boys 6 & under division shooting 30 (6 under par - par being 36). Jessy shot an incredible 7 birdies. He led by 5 strokes over the 2nd place competitor. Jessy won 1st place in the U.S. 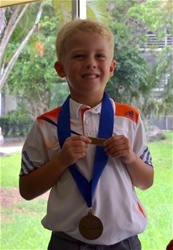 Kids Golf Foundation "Miami Local Tour" for Fall 2014 - Player of the Year and today's championship tournament. 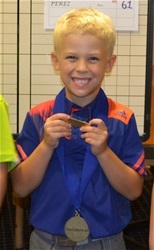 Jessy shot 2 under par (par being 36) in the 6 and under boys division . Jessy won 1st place in the U.S. 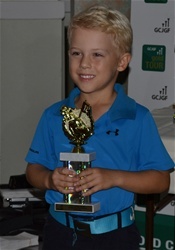 Kids Golf Foundation "West Palm Beach Local Tour" for Fall 2014 - Player of the Year and today's championship tournament. 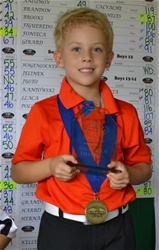 Jessy shot par (par being 36) in the 6 and under boys division . Jessy tied on the last hole forcing a sudden death playoff with Jessy shooting an Eagle on the first hole winning the tournament. This tournament was palyed in the rain and 22 mile an hour wind. What a day! Jessy won 1st place winning a gold medal. 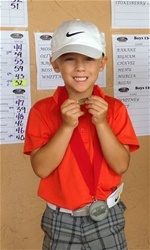 Jessy shot 1 under par (par being 36) in the Boys 6 & Under Division. sudden death playoff with Jessy winning at the second hole. Jessy won 2nd place winning a silver medal. Jessy shot 3 over par (par being 36) in the Boys 6 & Under Division. October 26th, 2014 "Miami Local Tour - Fall 2014" at Country Club of Miami - Hialeah, Florida. Jessy won 1st place winning a gold medal. 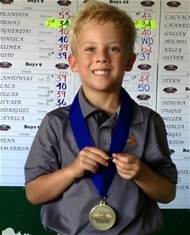 Jessy shot par (par being 36) in the Boys 6 & Under Division. Jessy shot an Eagle on hole #8. Jessy won 1st place winning a gold medal. 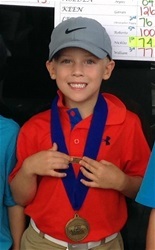 Jessy shot three under par (par being 36) in the Boys 6 & Under Division. Jessy won 1st place winning a gold medal. Jessy shot one under par (par being 36) in the Boys 6 & Under Division. October 18th, 2014 "Okee Gold Cup Matches" at Okeeheelee Golf Course; West Palm Beach, FL. Playing Ryder Cup format team Gold Coast Junior Golf Foundation (GCJGF) vs. team Junior Golf Foundation of America (JGFA). Each team comprised of 34 players boys & girls, ages 5 to 18. Jessy & Kevin Corzo comprised the GCJGF team 6 & under coed division. However team JGFA won overall. 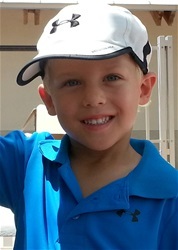 Jessy shot on round one 3 under par playing against the #1 player at World in the 6 & under division who shot 4 under par. He shot on round two 1 under par (par being 36 each day). His final score was 4 under par. Jessy shot an Eagle on hole #6. The now gives Jessy his GREEN STATUS with U.S. Kids Golf. Jessy won a gold medal for 1st place after winning a three person sudden death playoff at the third hole. Jessy shot par (par being 36) in the Boys 6 & Under Division. This was Jessy's 8th first place win. Jessy won 1st place winning a gold medal. Jessy shot one over par (par being 36) in the Boys 6 & Under Division. Jessy won a gold medal for 1st place after winning a two person sudden death playoff at the second hole. 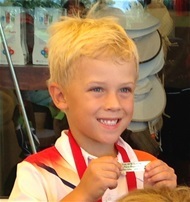 Jessy shot par (par being 36) in the Boys 6 & Under Division. 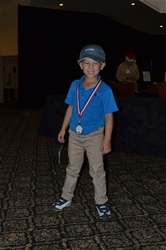 Jessy won 2nd place winning a silver medal shooting par (par being 36) in the Boys 6 & Under Division. 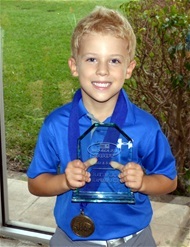 Jessy also received U S Kids Golf Player of the Year Runner Up Trophy . 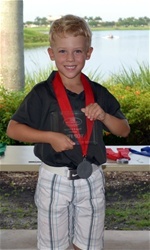 Jessy won 2nd place winning a silver medal shooting 1 over par (par being 36) in the Boys 6 & Under Division. Jessy also received U S Kids Golf Player of the Year Runner Up Trophy. 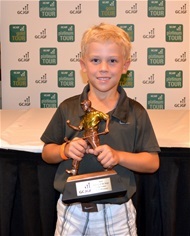 The 2014 Gold Coast Junior Golf Foundation has named Jessy "Player of the Year" in the Coed 6 & Under Division. July 31 - August 2, 2014 "The U.S. 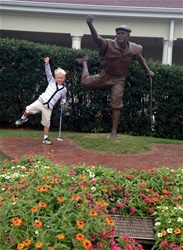 Kids Golf World Championship" in Pinehurst, N.C.
Jessy placed 26th of 82 players after three days. Jessy shot day one 5 over par, day two 4 over par and day three 1 over par (par being 36 each day) in the Boys 6 & Under Division. 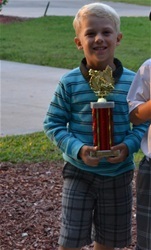 Jessy won 1st place winning a trophy by shooting 4 under par (par being 36) in the Coed 6 & Under Division. Jessy won 2nd place winning a silver medal. 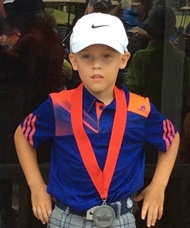 Jessy shot 2 over par (par being 36) in the Boys 6 & Under Division. Jessy won 2nd place winning a silver medal. Jessy shot par (par being 36) in the Boys 6 & Under Division. in the Boys 6 & Under Division. Jessy won 2nd place winning a silver medal. Jessy shot 4 over par (par being 36) in the Boys 6 & Under Division. Jessy won 2nd place winning a silver medal. 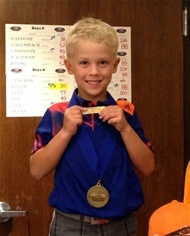 Jessy shot 1 over par (par being 36) in the Boys 6 & Under Division. He made an Eagle on last hole! That was Jessy's first Eagle in a tournament. Great going! Jessy received Player of the Year Runner Up trophy. Jessy won 3rd place winning a silver medal. Jessy shot 3 over par (par being 36) in the Boys 6 & Under Division. Jessy placed 7th. Jessy shot 45 on day 1 and 40 on day 2, par 36 each day, in the Boys 6 & Under Division. "Horseshoe Bay is known as the most difficult golf course in Texas". Shooting 4 over par on day 2 was quite an accomplishment. 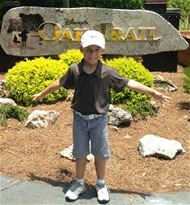 Jessy placed 4th, and shot 6 over par (par being 36), in the Boys 6 & Under Division. Jessy won 2nd place receiving a silver medal. Jessy shot 4 over par (par being 36) in the Boys 6 & Under Division. April 6th, 2014 "Gold Tour - July Open" at Southwinds Golf Course in Boca Raton, Florida. in the Coed 6 & Under Division. Jessy won 2nd place receiving a silver medal. 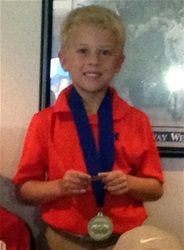 Jessy shot 2 over par (par being 36) in the Boys 6 & Under Division. Jessy won 2nd place winning a trophy. Jessy shot 4 over par (par being 36) in the Coed 6 & Under Division. Jessy won 1st place winning a trophy. Jessy shot 3 over par (par being 36) in the Coed 7 & Under Division. Jessy won 2nd place winning a trophy. Jessy shot 3 over par (par being 36) in the Coed 6 & Under Division. Jessy shot 3 over par (par being 36) in the Coed 7 & under division. Jessy won 2nd place winning a trophy. Jessy shot 5 over (par being 36) in the Coed 6 & Under Division. 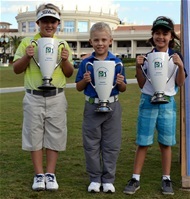 December 18th & 19th 2013 Doral-Publix Junior Golf Classic at Trump National Doral Miami in Miami, Florida. On the White Course. 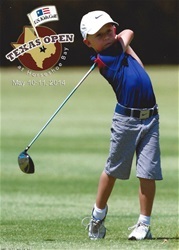 Jessy shot 9 over par on day 1 and shot 13 over par on day 2 (par being 36 each day), in the Boys 7 & under division. "This was Jessy's first international tournament." Jessy won 3rd Place winning a trophy. Jessy shot 7 over par (par being 36) in the Coed 6 & Under Division. September 2013 "Qualifiers for Okee Gold Cup" at Boca Raton, FL. Jessy won 3rd Place winning a trophy. Jessy shot 12 over par (par being 36) in the Coed 6 & Under Division. "This was Jessy's first tournament"